The Landmark Restaurant is located inside the iconic Warwick Melrose Hotel on the corner of Oak Lawn and Cedar Springs. Chef McElroy has introduced new seasonal dishes for summer on their breakfast, lunch and dinner menus. 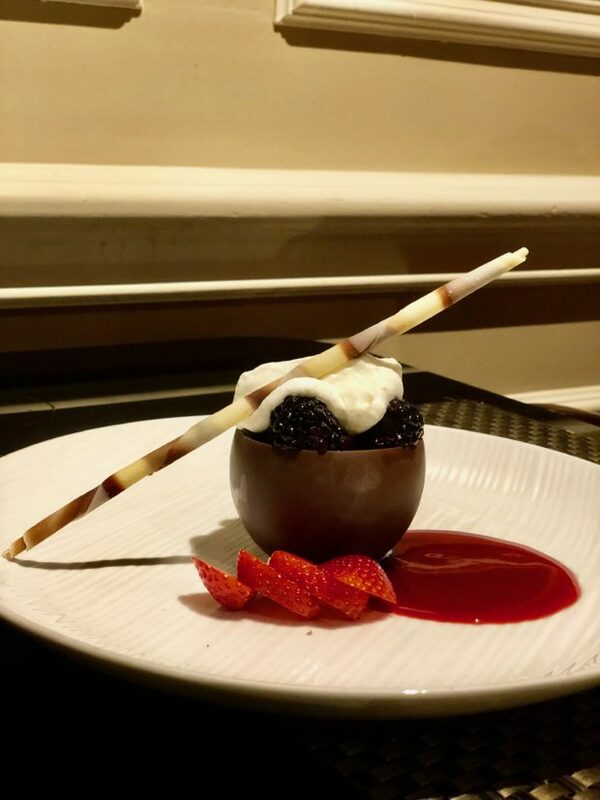 If you are looking for a top-notch dining experience, the Landmark Restaurant will soon become one of your favorites. My guest and I started with one of the new seasonal menu items, the brandy basted bay scallops. 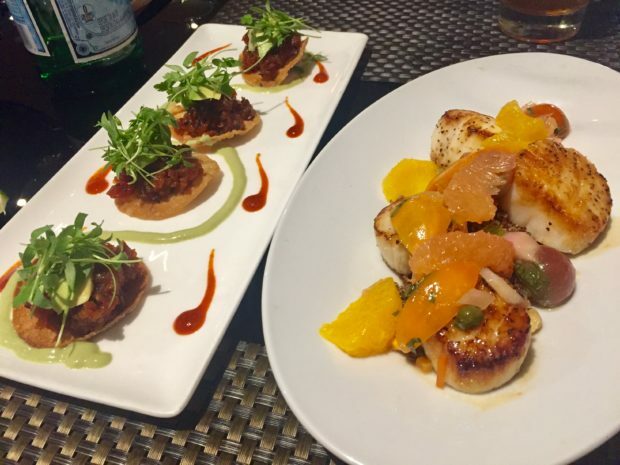 The scallops were perfectly cooked and tender, topped with a grapefruit relish that balanced the dish without taking away from the scallops. Another seasonal feature appetizer is the spicy ahi tuna tostadas – fresh spicy tuna, topped with avocado and baby cilantro, served on wonton crisps, with wasabi aioli and sriracha garnish. For our main course, we ordered the chicken milanese (summer menu feature) and the 8oz Prime beef tenderloin. 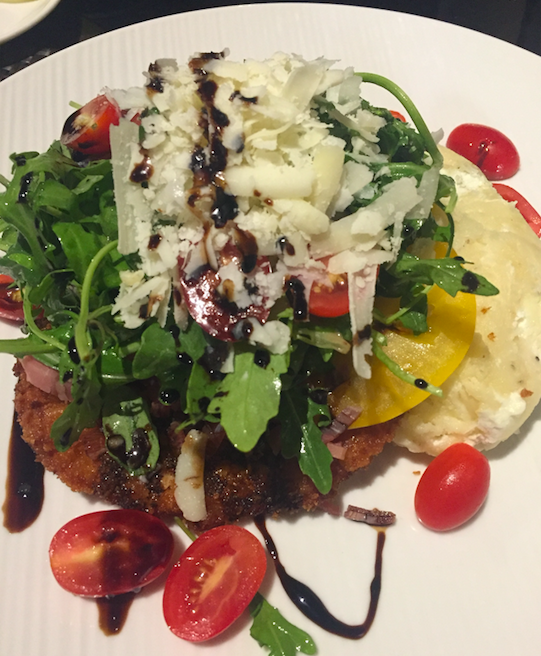 The chicken breast was panko crusted and baked, topped with crispy shaved prosciutto, sweet yellow tomatoes, topped with a citrus arugula salad with a light opal apple reduction. It was also served with a side of goat cheese and garlic mashed potatoes. I have never tried the combination of goat cheese in mashed potatoes, but I think it is definitely one of my new favorite combos! 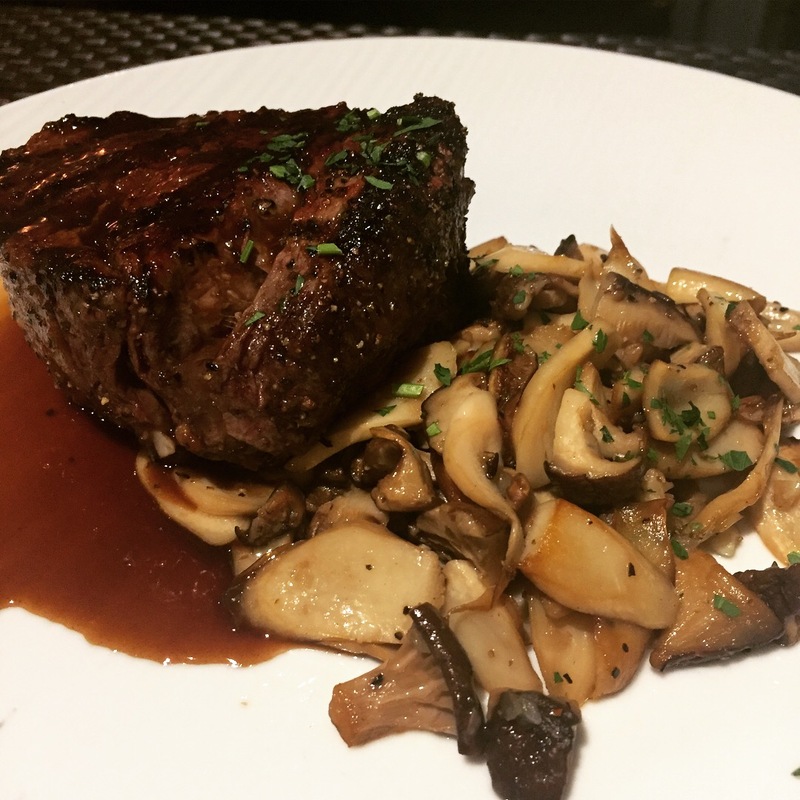 You can never go wrong ordering a fine piece of meat, and the 8oz prime beef tenderloin did not disappoint. The tenderloin was perfectly cooked to order and melted in your mouth with each bite. Steak orders come with your choice of sauce – we chose the bordelaise sauce- but other options included brandied green peppercorn, or mushroom cream & herb butter. It is also served with your choice of side- we chose the roasted forest mushrooms. Other feature dishes include lobster mac and cheese, roasted pork tenderloin, black pepper striped bass and crispy skin sockeye salmon. Since we couldn’t get enough of the amazing food, we had to finish off our meal with dessert. 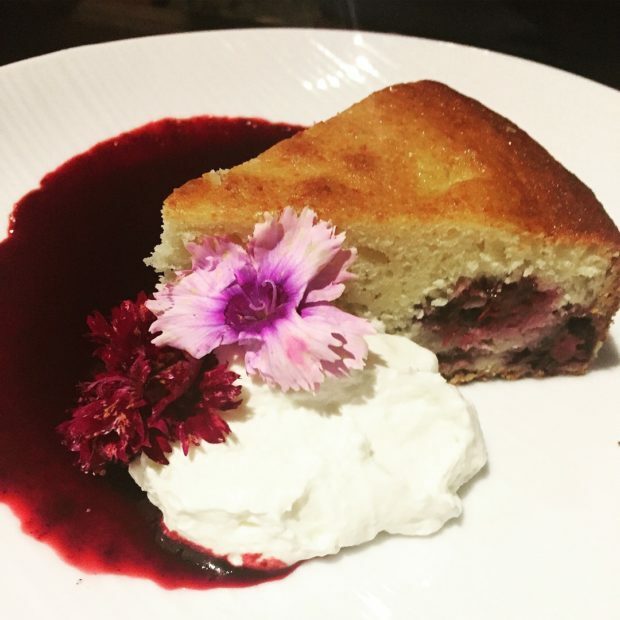 One of the new summer feature desserts is the blackberry ricotta cake. The cake was light and airy, served with a blackberry compote infused with TX Whiskey, and a dollop of Chantilly cream. We also tried the lemon curd and berries for a refreshing twist. Meyer lemon curd topped with mixed summer berries is served in an edible chocolate cup. So cute and delicious! The Landmark Restaurant is located inside the Warwick Melrose Hotel at 3015 Oak Lawn Ave, Dallas, TX 75219. Pro Tip: Enjoy dinner with half-price bottles of wine Monday through Thursday! Lunch is served Sunday through Saturday from 11:00 am – 2:00 pm. Previous Previous post: We’re BULLY for BULLA!